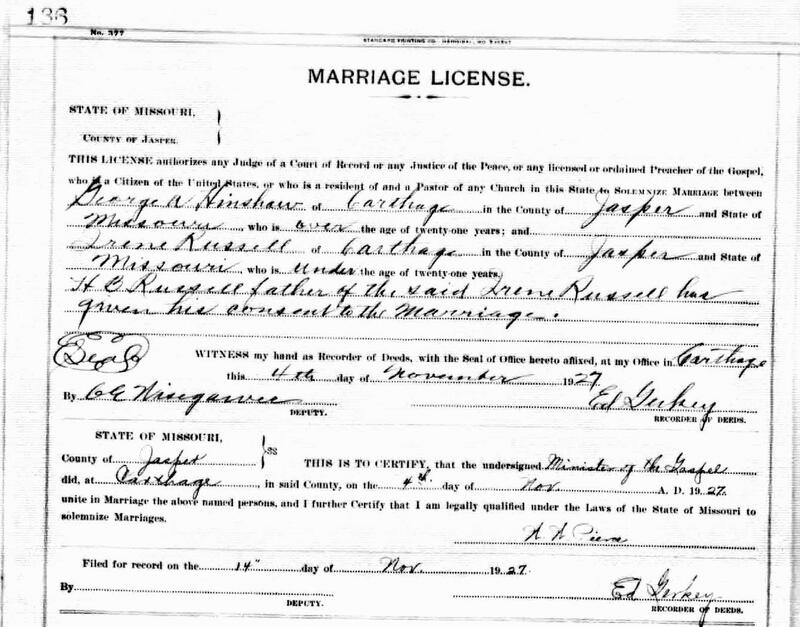 Birth certificate of Lawrence Edward Hinshaw. 1910 census, 5th Ward, Carthage, Marion Township, Jasper County, Missouri; roll T624-791, ED 74, page 13B, line #72, dwelling #319, family #324. 1920 census, Carthage, Jasper County, Missouri; roll T625-922, ED 87, page 1B, line #87, dwelling #18, family #23. Obituary in the "Joplin News Herald", Thursday, Dec 11 1947. Contribution from Larry Hinshaw ().